The 2017 SkillFRIDGE cycle reached its pinnacle at The Skills Show from 16-18 November. 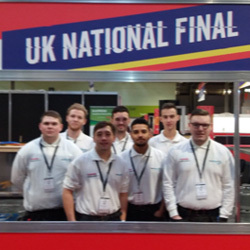 A selection of the UK’s top apprentices studying up to Level 3 RACHP qualified for the national SkillFRIDGE final during a series of regional heats. Unfortunately Chandler Davison was unable to participate due to injury, leaving Jonathon Lansdowne, Orlando Rawlings, Gary McGaughey, Stephen Taylor, Jack Culhane, Conor Green and Luke Courtney to compete to be crowned SkillFRIDGE champion. Under the watchful eye of a judging panel comprised of industry experts, the seven finalists were tasked with completing a number of challenges testing their pipework, brazing, electrical and commissioning skills. 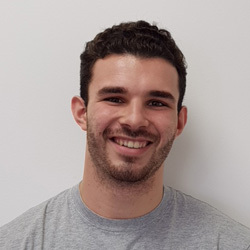 Whilst they were all competing for the accolade of SkillFRIDGE champion, all of the apprentices noted that they have gained valuable experience, knowledge and confidence through participating. More information regarding the next cycle will be announced in due course. To avoid disappointment, companies that wish to show their support for the future of the industry and align themselves with the very best are encouraged to secure their position as a sponsor early. For more information on the sponsorship opportunities that are available, contact Karena Cooper on 01622 699 150 or at kcooper@datateam.co.uk.